Welcome to one of my hundreds of character development posts. Today we focus on kindness. 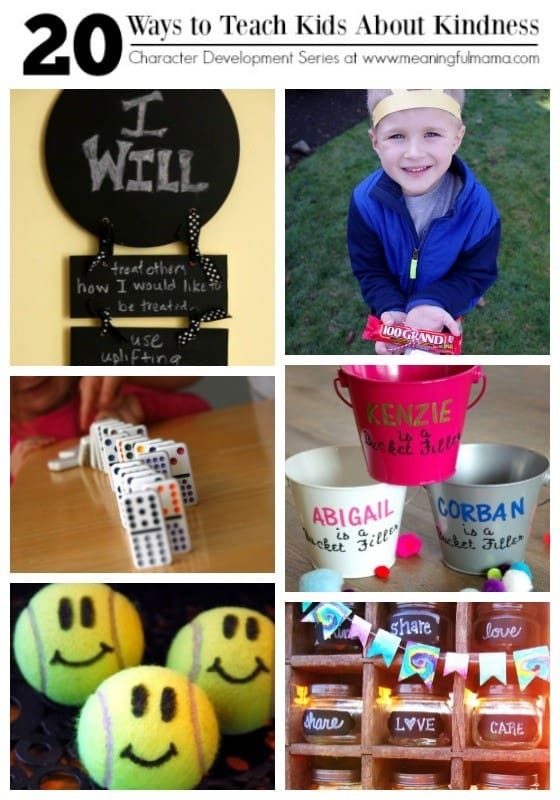 These 20 ways to teach kids about kindness include my previous lessons, crafts, activities, book collections and thoughts about teaching kids the importance of being kind. I am also including other ideas I’ve found around the web so you are well equipped to teach valuable lessons on character. 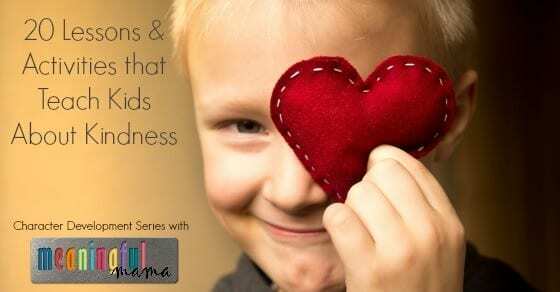 Building character in kids is a heart issue. We need to get to the heart and find a way to balance truth and grace as we teach them about morality. I hope you find these lessons valuable on that journey. If you are new to my character development series, let me tell you a little bit more about these lessons. If you check out my character development tab, you will discover 52 character traits we work on throughout the year, which equals one word per week to focus on with your kids. Hovering over the tab will reveal all of the words. 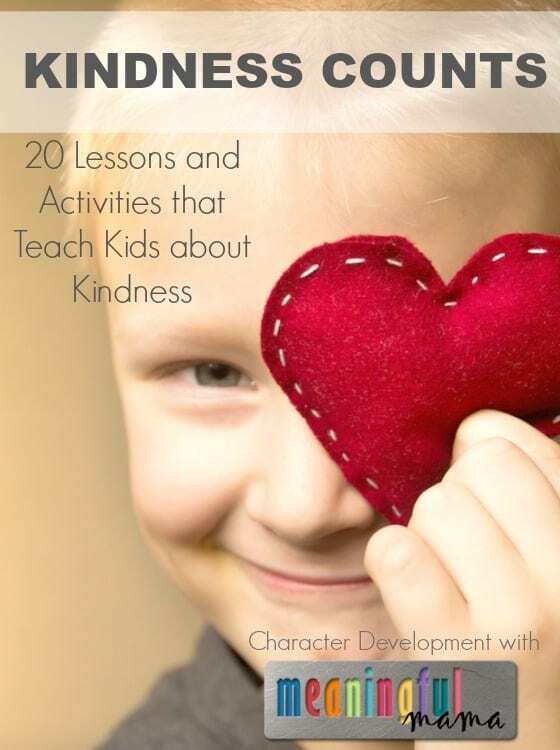 Each character trait has 7-9 lessons, so if you wanted to work on character daily, this can be an amazing resource. This year, I want to focus on cleaning up my series by presenting the lessons to you be compiling all of my lessons on a particular week, this week focusing on kindness. In this series, you will find a word, definition, scripture to memorize, book lists and a number of activities and crafts related to the topic. I have also included links to other bloggers who have lessons on the trait. I hope you are inspired to work on character with your kids because being intentional in your parenting will help give great direction to both you and your children. Teaching kids about character and what it means to be a positive contributor in the world is one of the most important things we can teach. We can’t leave it up to the schools or the church. This is our job. Being intentional in the process will help kids to better see the importance of developing qualities that shine light into an often dark world. Will you join me in this pursuit?